Storenet provides well maintained, secured premises with neat and tidy storage units. CCTV monitoring, 24/7 on site, electrified fencing and alarm system. 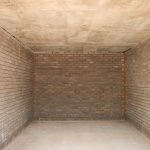 Storage units consist of brick buildings with waterproof concrete slab roofing and smooth floors. Lockable roller shutter garage doors and safety gates, use your own padlock and key. Leases are flexible, affordable and tailored for specific demands. Easy, however monitored access between 06H00 – 18H00 seven days a week. Our friendly staff are on site and available to assist you on arrival or departure. Electrical points are available on request at agreed charge. Storenet in Pretoria offers a versatile self storage service for your household and business needs with instant and convenient access to space. The customer enquires about a storage unit of suitable size to suit storage requirements. The customer is provided with a lease agreement which he/she signs and returns via e-mail accompanied by a copy of the tenant’s ID. Once the signed lease agreement is received and the deposit and first month’s rental paid, the tenant enjoys occupation of the unit. 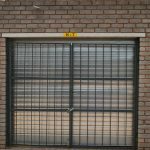 The tenant must provide two padlocks for the security gate and receives the key of the roller shutter door, the tenant may access the unit between 06H00 and 18H00 daily. 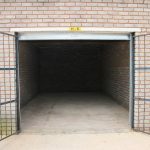 We provide a self storage facility with purpose built 10, 20 and 30 square meter units for the public and businesses which are safe, secure, affordable and easy to access. Any plants, animals, fish or any living creatures. Anything illegally obtained or any goods prohibited by law. Any foods, liquids or perishable goods. Anything that may cause a fire or may be flammable. Any explosives or radioactive material. Anything that may cause fumes or unpleasant odours. Anything that may in any way cause a nuisance or result in damage to the storage unit or to the premises of Storenet. Our friendly team will advise you on the best options for the removal and transportation of your goods to our self storage facility. We keep a list of reputable removal companies. Contact us today to book your self storage unit. A wide range of storage boxes and other packaging materials are available on the market to keep your goods safe and secure. Our friendly team will supply you with details of our of approved suppliers. Storenet provides CCTV monitoring, 24/7 on site security, electrified perimeter fence and alarm system.